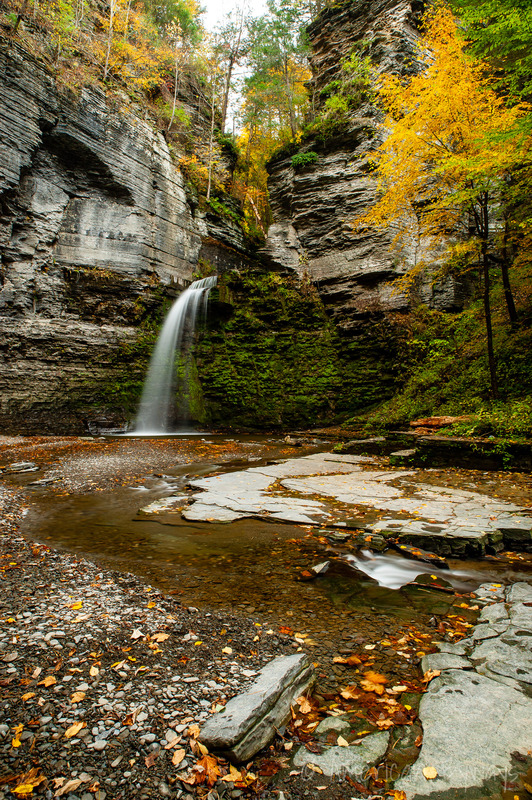 Havana Glen, with the 40-foot Eagle Cliff Falls as its centerpiece, is located in the Finger Lakes town of Montour Falls, New York. 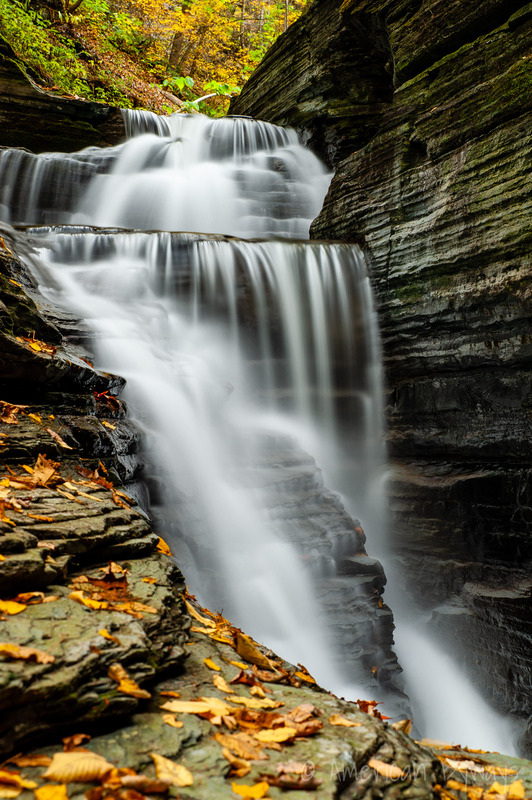 Located along McClure Creek, Havana Glen offers a respite from the sometimes oversaturated crowds at nearby Watkins Glen. 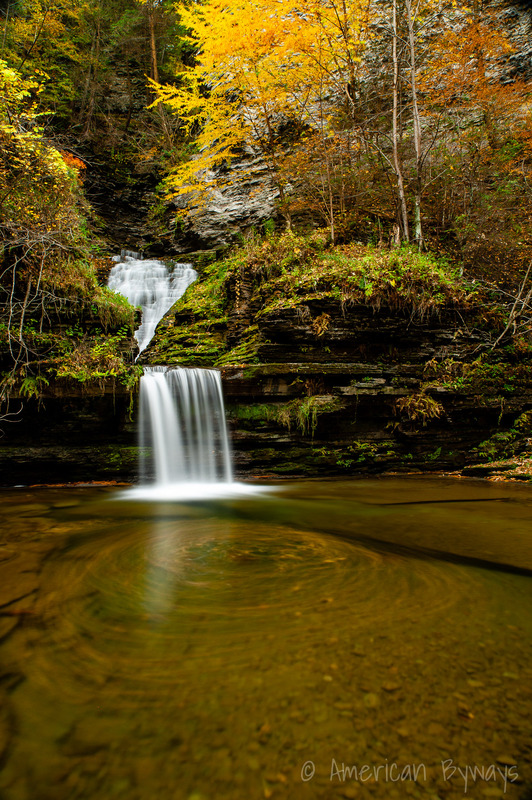 At its centerpiece, a short walk from a parking area, is Eagle Cliff Falls. 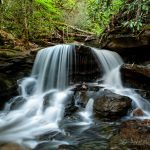 Surrounded by 60-foot cliffs, the waterfall is just one of several along the stream. 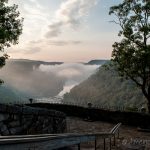 The falls above Eagle Cliff are closed to the public, unfortunately, but remnants of old trails still snake back if you know where to look. Havana Glen was a former private attraction, and the narrow glen was once crisscrossed with numerous boardwalks and cliff-anchored walkways. It has long become a town park for Montour Falls. A stunning 41′ high waterfall. 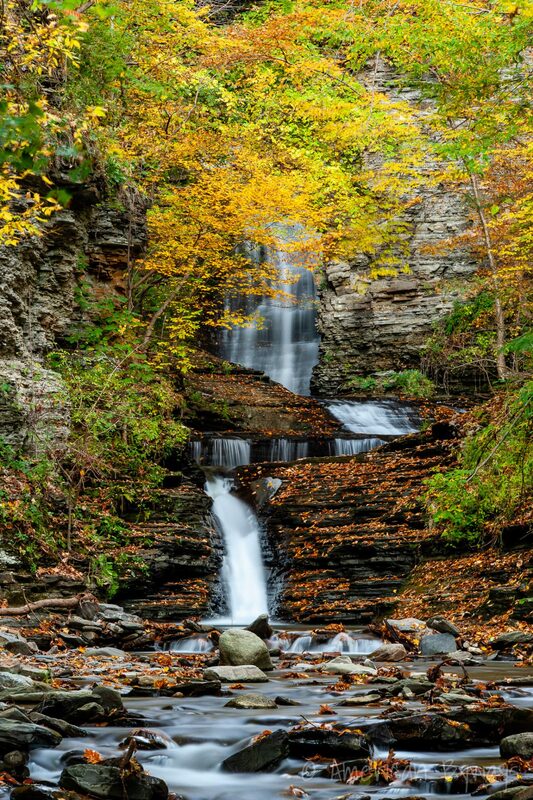 From Montour Falls, follow NY Route 14 south for 1 mile. 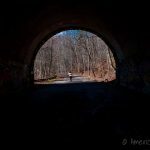 Turn left onto Havana Glen Road and then right into the Havana Glen Park.